It's hard to say that I actually made dinner this evening. I was, however, involved with its assembly. It only took about nine minutes to put together and about seven minutes to eat. 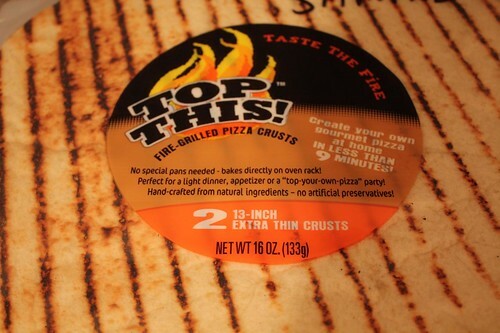 I got a sample of a new ready-made grilled pizza crust which is made in Rhode Island. The crust is called Top This! and it's from my home state. Top that! 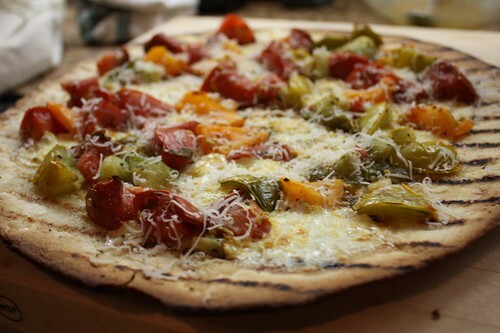 With three varieties of heirloom tomato which I'm unable to identify, a little mozzarella and a brief time on the oven rack at 450 degrees the pizza came out pretty well. I tossed all the chopped tomatoes with some olive oil, salt, and pepper and let them sit in a strainer for about 25 minutes to drain before topping the pizza. I used the leftover juice to dress a salad (made with additional heirloom tomatoes). For dessert: a Baba Booey cupcake which Jen was kind enough to pick up from Crumbs's new shop at Grand Central. Jen's verdict: pretty good. My verdict: excellent. 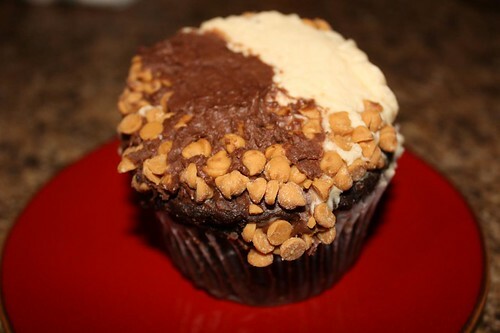 My level of admiration for things chocolate and peanut butter is easily achieved. Coming soon: I may get time to actually make dinner. You'd better look out for that action!